After running housefull shows and getting rave reviews throughout Assam, Local Kung Fu 2 is now ready to entertain the national film lovers through single screenings in Navi Mumbai and Noida on June 18 and in Mumbai, Thane, Pune, Bangaluru, Delhi and Kolkata on June 21. Organized by 1018mb.com, most of the shows of Local Kung Fu 2 are on-demand, which means that the screening will only happen if 30% of tickets are booked in advance. If the show does not happen, the ticket money will be refunded. A recent example of 1018mb’s success is the Malayalam film Angamaly Diaries, which drew houseful crowds in Mumbai and just had a successful show in Kolkata. The film has also been re-released today with two shows at 11:15am and 2:15pm in Gold Cinemas, Paltan Bazar. So LKF fans who missed out on watching Local Kung Fu 2 earlier in theatres, now have another chance. The film is also available on MovieSaints.com for paid viewership starting at Rs. 150. Based on William Shakespeare’s Comedy of Errors, Local Kung Fu 2 is about two pairs of twins who get separated at birth. One pair of twins stays in Guwahati and the other stays in Tezpur. 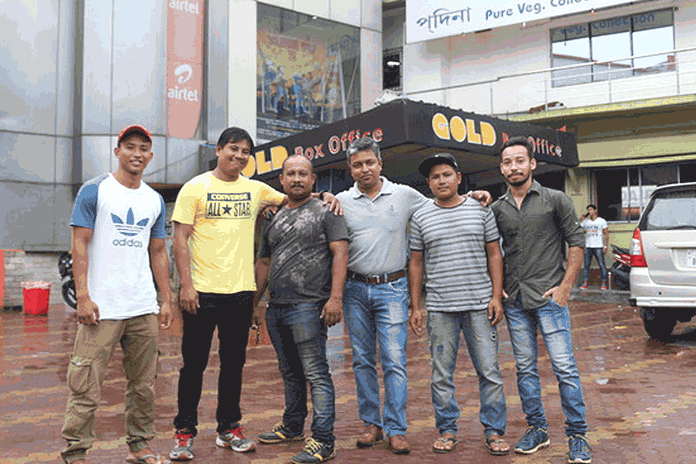 The pair in Guwahati know martial arts, but the pair in Tezpur do not, and the film is all about the madcap confusion that ensues.